To commemorate March 8th, International Women’s Day, we compiled a list of the top ten films that feature women who challenged patriarchy and capitalism. Finding films with female leads that fit this criterion was difficult since the majority of biopics about individuals or movements revolved around a male revolutionary story line. Here are ten movies that center the role of women in the labor movement and the fight against capitalism, and always resisting the patriarchy. Salt of the Earth (1954) was written, directed, and produced by Hollywood Blacklisted artists during the Red Scare led by Senator Joseph McCarthy. The film’s script tackles topics such as gender oppression, racism, and state repression of the labor movement. The story centers on a strike led by Mexican and Mexican-American zinc mine workers, fighting for better working conditions and equality with their Anglo (white) coworkers. The miners’ wives also presented their labor demands, including running water (“We want sanitation, not discrimination”). However, the men were not sympathetic until they were forced to hand over to their wives the defense of the picket line and take over the household chores and childcare in the meantime. As the men chopped wood all day to prepare hot water for laundry, bathing, and food, they learned about the Women’s Question. The film’s themes continue to be relevant to the present-day. 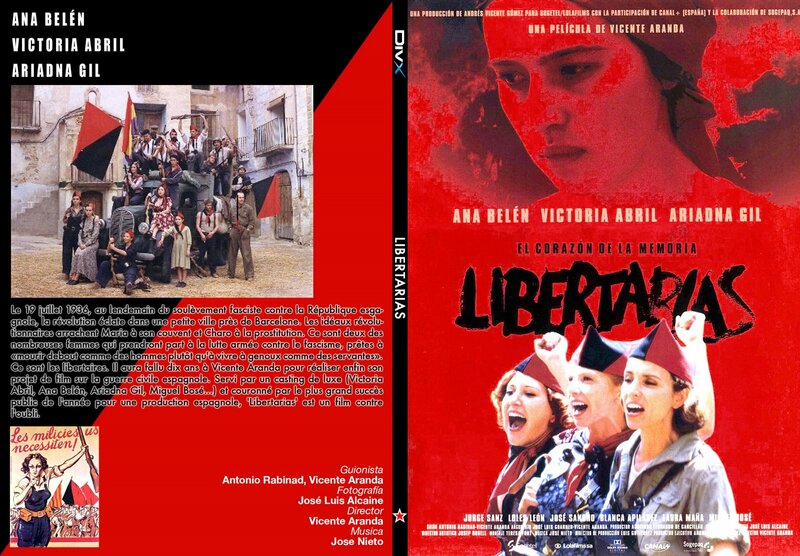 Libertarias (1996) is among many Spanish films about the Spanish Civil War, but a rare movie that centers its story on the revolutionary women’s organization Mujeres Libres (Free Women). From the ranks of the CNT, FAI, and FIJL, female members led by Amparo Poch y Gascón, Lucía Sánchez Saornil, and Mercedes Comaposada formed the magazine and political current Mujeres Libres to organize the collective voice and positions by women in the revolutionary struggle. 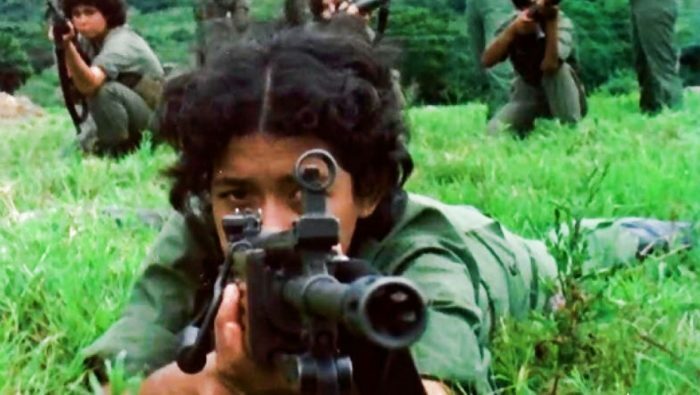 Mujeres Libres underscored the “double struggle” by revolutionary women fighting against capitalism and patriarchy; similar to the politics of “double militancy” described by Latin American feminist revolutionaries in the 1980s. Before their military defeat, Mujeres Libres amassed over 20,000 members and a political legacy that lives on to this day. 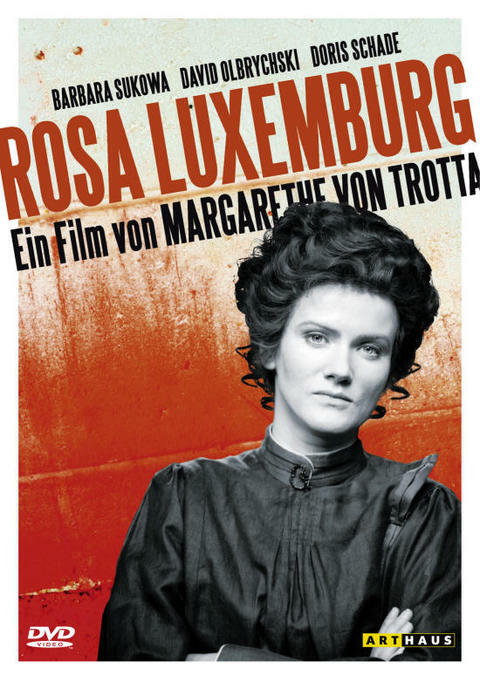 Rosa Luxemburg (1987) was directed and starred by Margarethe von Trotta (also in the 2012 Hannah Ardent) as the remarkable Polish Jewish revolutionary. The film traces Luxemburg’s evolution from a supporter of the German Social Democratic Party and her ultimate break with Karl Kautsky and Eduard Bernstein (see Reform or Revolution) when the party supported WWI that led Luxemburg, Karl Liebknecht, and others to form the Spartacist League. Rosa Luxemburg captures the cultural life of a mass organization, as well as Luxemburg’s close friendships with other women in the organization who were usually the secretaries and partners of party leaders. Luxemburg often refused to write on the Women’s Question because she did not want to relegate her political contribution as a liaison on women’s issues, unlike her close friend Clara Zetkin who made that her central work. Luxemburg also had polemical disagreements with Lenin (she opposed aligning with nationalist currents as equivalent to “dancing with the devil” and denounced the ultra Leninist conception of party centralization). The deaths of Luxemburg and her political collaborator Liebknecht still stand as examples of the ultimate betrayal of Social Democracy. 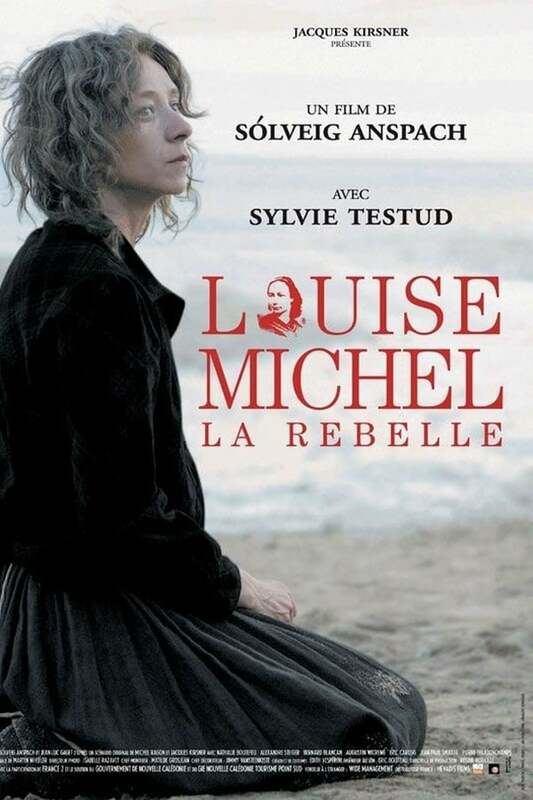 Louise Michel: La Rebelle (2010) is a French TV drama about Louise Michel’s imprisonment in New Caledonia. Michel was an anarchist who escaped the counter-revolutionary massacre that followed the defeat of the Paris Commune, continues to be heralded as a revolutionary example. Michel was involved in the main events of the Commune from beginning to end and –like other women who participated in the uprising– was labeled “unruly” and accused of participating with les petroleuses (the incinderaries). Michel was sent to New Caledonia along with 4,500 communards, in which the French government used their imprisonment to colonize the Pacific island and the Kanak people. During her imprisonment, she became friends with native Kanaks and found herself at odds with her racist comrades, a moment depicted in La Rebelle. Michel was released in 1880 and spent the rest of her life touring giving speeches and developed a close friendship with Kropotkin. 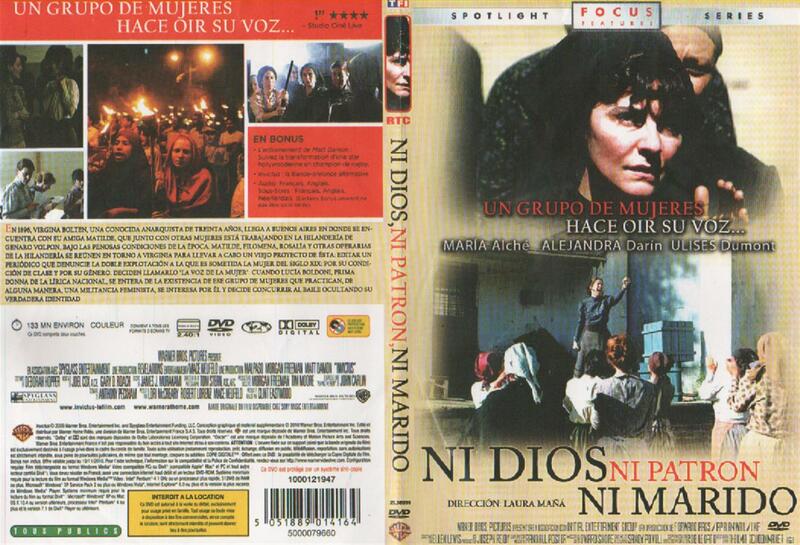 Ni Dios, Ni Patron, Ni Marido (2010) is an Argentine film about La Voz de la Mujer (The Women’s Voice), the first anarchist feminist newspaper and organization that functioned in Argentina during the 1890s. 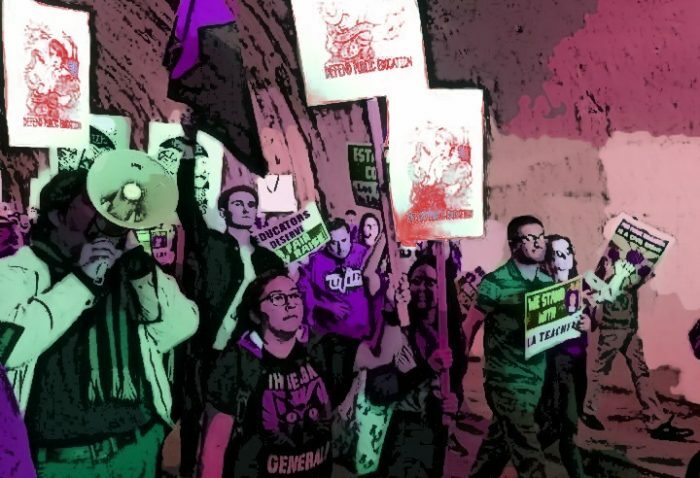 La Voz took a daring step: to begin to articulate an interconnected anarchist and feminist discourse. The film shows their leaders and political work that was short-lived, but influential in the history of women’s labor history in Argentina. 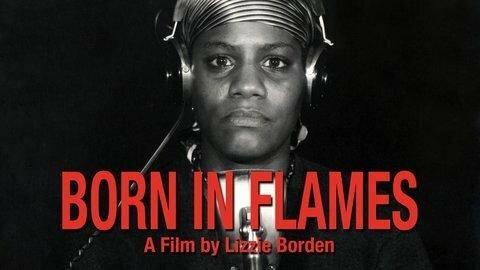 Born in Flames (1983) is a fictional film by Lizzie Borden about a group of women who organize the Women’s Army in response to the lack of social changes against racism, sexism, and homophobia by the Social Democratic US government. 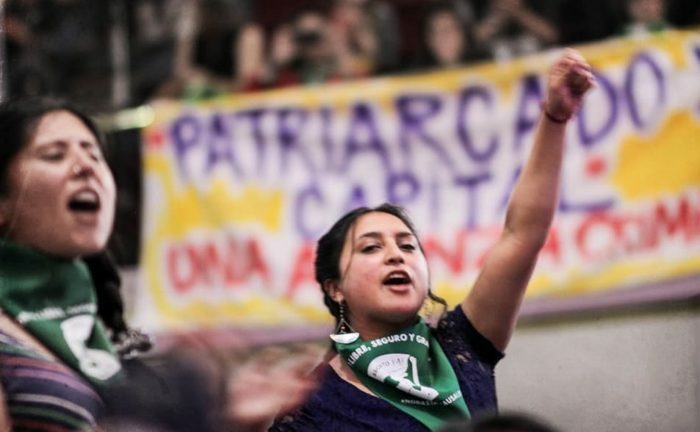 On the 10th Anniversary since “the most peaceful revolution in history,” the Women’s Army expands their activities by confronting male street harassment and sexual assault, using a guerrilla radio station to spread their word, and carry out acts of resistance to the state. Following the state murder of their leader Adelaide Norris who built international solidarity tries with women in Algeria, the Women’s Brigade steps up their resistance even further. With Babies and Banners: The Story of the Women’s Emergency Brigade (1979) is a documentary by Loraine Gray who also made the film Union Maids. This film interviews members of the Women’s Emergency Brigade that defended members of the United Auto Workers during the Flint, Michigan sit-down strike from 1936-1937. 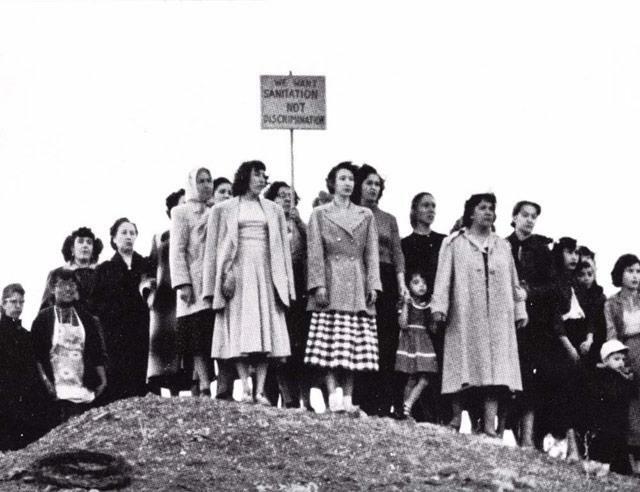 The women secured the picket line, fought cops, broke factory windows when workers were tear gassed, and reminisce about their history with pride. There are also scenes of the women at the 1978 UAW Convention demanding that the UAW adopt an Equal Rights Amendment (ERA). 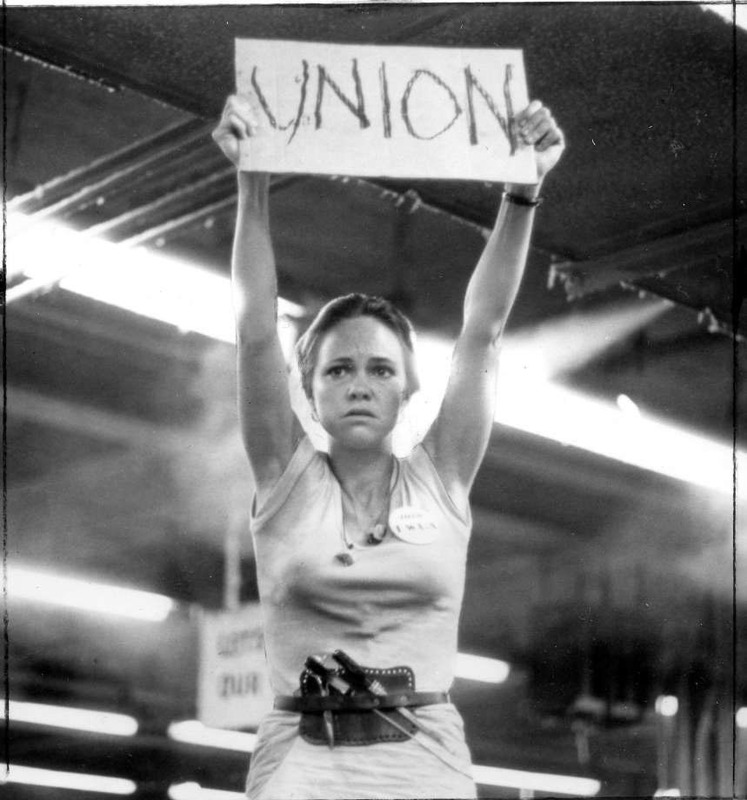 Norma Rae (1979) is a biopic starring Sally Field about Crystal Lee Sutton’s experience in organizing a union with her coworkers at a J.P. Stevens textile mill in Roanoke Rapids, North Carolina. The film deals with questions of sexual freedom, patriarchy, racism, and anti-Semitism. 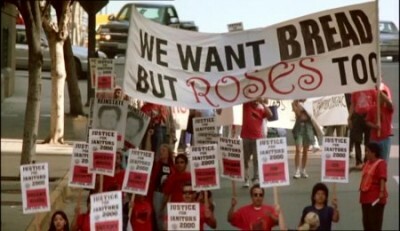 Bread and Roses (2001) is the 14th film by the English director Ken Loach. Loach is well-known for films that center on revolutionary socialist, anarchist, and labor movements such as Land and Freedom (1995) about the Spanish Civil War and The Wind the Shakes the Barley (2006) about the political splits during the Irish Civil War for independence from England. 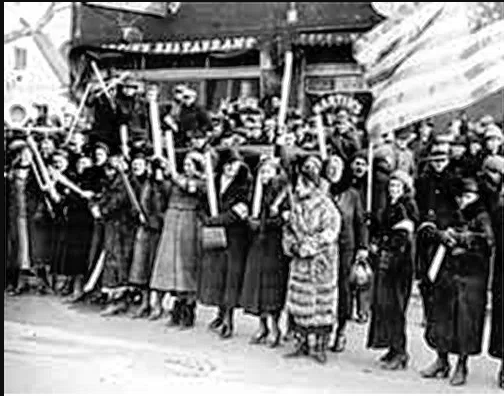 The movie’s title references a speech by Rose Schneiderman (based on a 1911 poem by James Oppenheim) during the iconic 1912 textile workers strike in Lawrence Massachusetts. The film follows the story of Maya, an immigrant who becomes a leader of the Justice for Janitors campaign in Los Angeles. 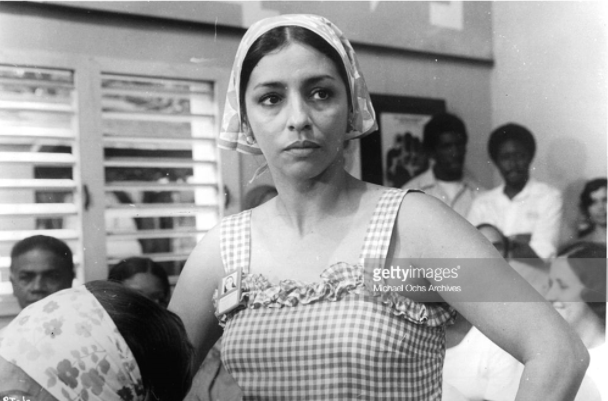 A Portrait of Teresa (1979) is a Cuban film by Pastor Vega that follows the story of Teresa, a factory worker, and her experiences with gender oppression and her dedication to the politics of revolutionary Cuba. Teresa upholds the female ideal promoted in Soviet Russia and Communist Cuba of the worker-citizen striving to meet and surpass production quotas. In a memorable exchange with her mother, Teresa complains that her husband doesn’t participate in housework and is not supportive of her endeavors. Her mother responds: “Women are women and men are men…and even Fidel can’t change that.” Teresa thought otherwise. Looming in the backdrop is Socialist Cuba’s promise in implementing gender equality through the Family Code. As Teresa discovers, more profound changes are required. 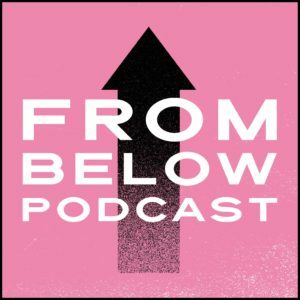 If you enjoyed this piece we encourages you to read our “Feminist Readings & Resources” page for articles, downloabable flyers and audio interview from a working class feminist and libertarian socialist perspective.